A Lurgan grandmother has pleaded to heartless thieves to return her laptop which was filled with precious irreplaceable photos of her family. Tracey from Mourneview said she is still very shaken after she woke to discover her laptop, car and handbag stolen on Saturday morning. The 45-year-old said the robbers must have scaled a neighbour’s six feet wall to get into her property and the invasion has left her feeling violated. 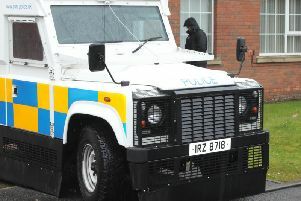 Though police found her car abandoned in Lisburn, Tracey is still awaiting its return as police carry out forensic tests. “It feels awful that they have my laptop and are looking through my personal photos. “I had a lot of photos of my family, my grandmother who has passed away and my grandchildren growing up. They are irreplaceable,” she said. “They have come into my own home where I have always felt safe. Now I feel violated and very uneasy,” said Tracey. She said she has lived in her home for 24 years and this is the first time anything like this has happened. “I would appeal for them to return the laptop but I don’t hold out much hope. If they had a conscience they would but if they had a heart they would not have done this in the first place,” she said. According to police, the creeper burglary happened between midnight and 6am on Saturday morning. Police also warned householders to secure their property and be on the alert.